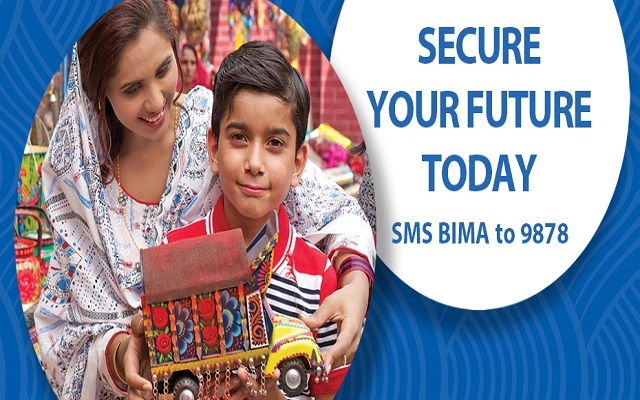 With the collaboration of Milvik Mobile Pakistan and Alfalah Insurance, Warid proudly announces its new service which is BIMA Accidental Insurance Plan to its Prepaid customers to make their future secure. Now if unfortunately any misfortune happens to you, then by getting this BIMA plan you can secure your future. BIMA is basically an Accidental Insurance Product which provides you or your family financial security. SMS “BIMA” to 9878 and an agent will call you to guide and help subscribe to the service. BIMA agents will call you within 24 working hours. There are no charges for sending an SMS to 9878. There are four plans regarding this insurance. The plans with their monthly price and maximum cover are described below. The monthly price is divided into 30 equal installments and is charged twice per day till the entire month’s price is received. If your prepaid balance is low, you may not be charged or you may only be charged one installment for that day. This service is currently limited to prepaid subscribers only. Postpaid offers shall be available soon. Eligible Applicants shall include individual pre-paid and post-paid Warid Customers. It is understood and agreed between the Parties that only one person shall be insured per pre-paid or post-paid telecommunication connection. All Eligible Applicants shall be natural persons. Corporations, partnerships and businesses shall not be eligible for coverage under the Personal Accident Policy. If there is a dispute, suspected fraudulent activity on the claim or a unique situation which requires further clarification, the payment period can be extended but shall not exceed ten (10) working days, or as long as the dispute takes to resolve in the legal system.